Where does our food come from? Headlines of E.Coli outbreaks and food fraud are highlighting the need for more transparent supply chains in order to guarantee that the food that we eat is safe. Luckily, there are Australian AgTech companies coming to the rescue by developing solutions that will restore food transparency, providing consumers with choice and certainty. Sheda, Nifty Grants and Wrays invite you to attend an exclusive discussion on food safety and provenance. Together with our industry experts, we will explore how the Australian agribusiness sector can build supply chains that allow us to understand where our food is coming from and the pathways taken to move from paddock to plate. In particular, we will explore the use of Blockchain and Internet of Things technology to track and analyse produce and food. 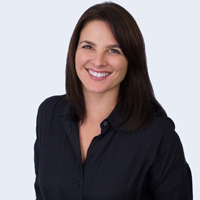 Emma Weston is the CEO and a Co Founder of AgriDigital, one of Australia’s leading emerging agtech and fintech companies. Emma has had a diverse career as a lawyer, agribusiness executive and executive coach. She was named one Australia’s Top 25 Fintech Influencers and was awarded Female Fintech Leader of the Year and Emerging Fintech Leader of the Year for 2017 by FinTech Australia as well as Female Fintech Leader of the Year at the 2017 Australian Fintech Awards. In December 2016, AgriDigital achieved the world’s first settlement of a physical agri-commodity on a blockchain between a farmer and a buyer in New South Wales. AgriDigital’s digital supply chain platform for the agricultural sector has over 1,850 users in Australia and AgriDigital continues to work with blockchain and other novel enabling technologies to bring efficiency and transparency to global supply chains. Dr. Jamie Flynn is Co-Founder and Director of Rapid Phenotyping, a new company focused on delivering real-time, accurate chemical analysis with light-based technology and machine learning. Jamie has a background in medical science, developing custom hardware to answer research questions, but has more recently been applying those skills to Agricultural data collection and analysis. He now manages the development of Rapid Phenotyping’s new generation spectroscopy devices that combine high-performance optics with miniaturised electronic and mechanical designs.